Right this way, Ladies and Gentlemen, a section of the sideshow on the Midway! Brockton Fair, Massachusetts. 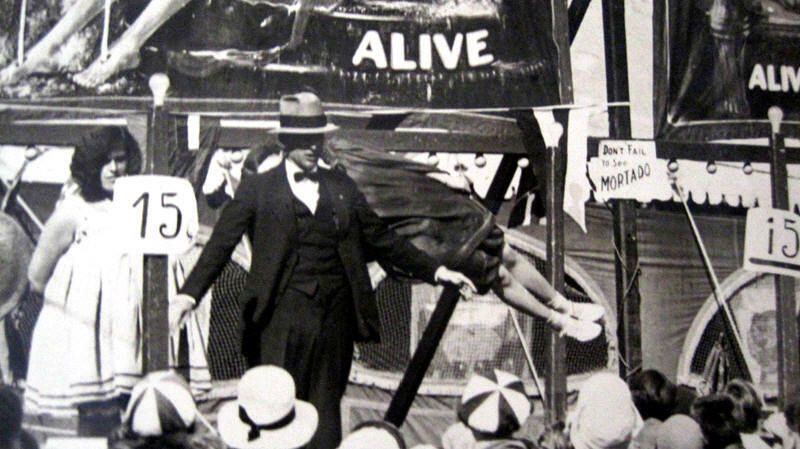 Freak Show Midway Banners which read: Rose Foster Nature's Mistake From London, England.....Alive! Mortado the Human Fountain, Has Been Crucified and Lives!, Alive! Indigo with the Blues, Alive! Dreamland Circus Side Show.